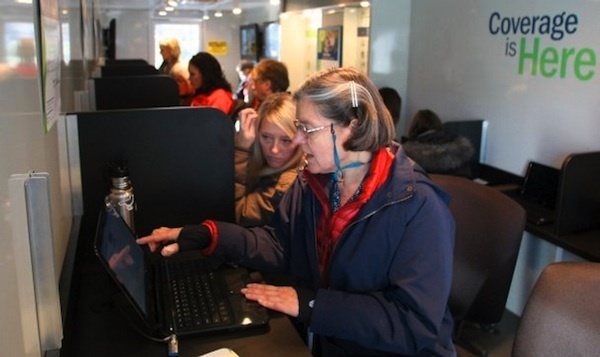 Washington Healthplanfinder went mobile this fall and its next stop is Bremerton. 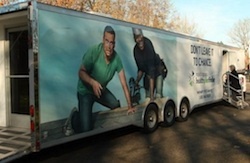 A custom Healthplanfinder truck and trailer will roll onto the Olympic College campus Thursday. Assisters from Kitsap Public Health District will be on hand to answer questions about the health insurance plans offered through the Washington exchange. Attendees can peruse plans and sign up for coverage using laptops provided in the trailer. The event is scheduled from 10 a.m. to 1 p.m. at 1395 Broadway, between the student center and engineering rotunda. A report released by Healthplanfinder last week showed nearly 2,000 Kitsap residents enrolled in plans through the exchange in October. Washington’s exchange has enjoyed good press lately, due to strong enrollment numbers and dysfunction in other insurance marketplaces. Nearly 2,000 Kitsap County residents enrolled in health care insurance through the state’s Healthplanfinder in October, according to a report released Friday. The vast majority – 1,754 – qualified for Medicaid plans. Another 181 enrollees qualified for tax credits, while 51 did not. Kitsap ranked ninth among Washington counties for enrollment, accounting for 3.4 percent of the 57,000 Washingtonians who enrolled in October. The enrollment numbers will change rapidly. About 150,000 people statewide have either enrolled in coverage, completed application that is awaiting payment or started an application. You can read the full report for October here (PDF). Here’s the AP story on the report.